Locational Advantage : ITC Park Sheraton & Towers is located in an exclusive residential enclave and is close to the city's commercial centers. 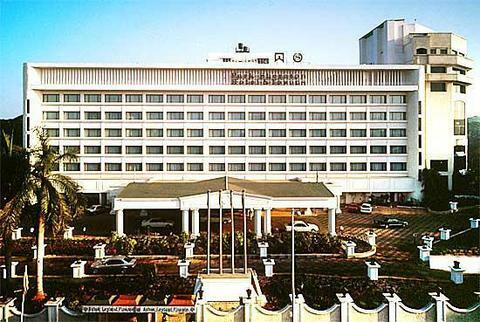 ITC Hotel Park Sheraton and Towers is a plush hotel sited in a posh residential area of Chennai. This lavishly built hotel is equipped with all the luxurious amenities. It offers a range of leisure and business facilities to make the guests' stay joyful and relaxed. The hotel staff strives to fulfill every requirement of the guests in a short span of time and that too with perfection. In short, ITC Park Sheraton is an ideal place to stay for business travelers as well as leisure travelers in Chennai. The hotel proffers accommodation in its 283 well-appointed rooms, categorized into Park Suite, Presidential Suite, Luxury Suite, Sheraton Tower Room, and Executive Club Room. Each room is elegantly decorated and is outfitted with state-of-the-art amenities. Dakshin: A restaurant that serves traditional Indian dishes. Khyber: A restaurant serving a range of barbeque specialties. Cappuccino: A coffee shop that offers various snacks and beverages. Westminster: A trendy bar, which offers the finest of liquor and mocktails. The Residency: A multi-cuisine restaurant that serves delicious delicacies. Courier, Credit Cards Accepted, Doctor on Call, Fax, H/C Running Water, Currency Exchange, Newspaper, Room Service, Cable TV, Telephone, Safe Vault, Internet Facility, Swimming Pool, Laundry Service, Travel Desk, Barber Shop, Conference Facilities, Banquet, Health Club, Parking, Bar Facility, Restaurant, Shopping Arcade, Car Rental, Business Centre, Post & Telegraph, Billiards Room, Refrigerator in all rooms, Tea/Coffee Maker in all rooms, Airport Transfer, Flower Shop.